The Internet of Things World Forum just presented its new IoT Reference Model, recognizing familiar building automation brands as already leading in the category of Edge Computing. So, how does the IoT really change the future of commercial building operations? There were a number of Internet of Things (IoT) community gatherings held this October — GE’s Minds & Machines, the IoT World Forum and GigaOm’s Structure Connect — to name just those with members of the Industrial Internet of Things Consortium as headliners. GE, Cisco, IBM and Intel took to the podiums, often showing their support for the IoT Reference Model covered here. What are the important takeaways for commercial buildings automation? The model breaks down into seven functional levels the dozens of technologies that, all combined, comprise the IoT: Devices send and receive data interacting with the Network where the data is transmitted, normalized, and filtered using Edge Computing before landing in Data storage / Databases accessible by Applications which process it and provide it to people who will act and collaborate. The IoT Reference Model emphasizes Edge Computing — all the processing that is expected to happen at the ‘Thing’ level, that is among all the physical devices and controllers that now have microprocessors to ‘think’ and radios to ‘talk’ to one another. Sometimes Cisco has called this Fog Computing, playing on a meteorological metaphor that draws a contrast with Cloud Computing. It’s true, when devices use their data sharing and decision-making capabilities to work together to suppress what is extraneous and prioritize what is important, only select data makes it into the Central data stores of Level 4 for further processing in the cloud. It’s not practical to transport, store and centrally process all the sensor data that can be collected from a typical piece of industrial equipment, and there are obvious response-time, reliability and security advantages to processing locally. 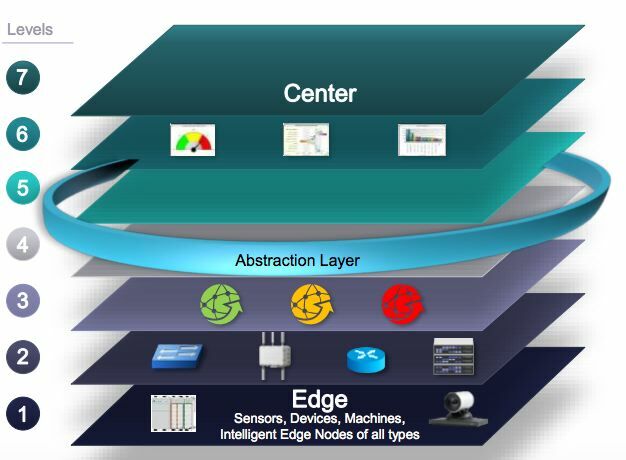 Moreover, while it’s clear that sensor-equipped edge devices can generate data much faster than cloud-based apps can ingest it, the differential between the two modes is unknown and varies depending on application. ‘Edge Software’ is the name the model gives to any module that has evolved to configure, address and directly process and temporarily store device data. The Tridium Niagara framework, DGLogik graphics visualization software and a number of telemetry provisioning toolsets were recognized during the IoTWF presentation as pioneers in the Edge Software category. The model also specifies a layer of abstraction between such Edgeware and Cloud applications because there is so much variability above and below to cope with. This is the role of IoT Middleware which delivers agility and scalability and eventually interoperability. The IoT events mentioned above had a wide industrial scope and were not opportune for explaining how the IoT Reference Model can be used to describe IoT-era information flows in the context of data-driven Commercial Buildings, so I’ll take that opportunity here. Edge Computing offers the promise of greatly improving the signal-to-noise in results from another category of tool identified by Petze — automated Fault Detection and Diagnostics. In a Building IoT scenario, downstream terminal devices such as VAVs and other boxes would message amongst themselves to determine if there is a problem with their parent AHU and thus stop themselves from triggering hundreds of extraneous faults. Tomorrow’s analytics will build on the ability to capture such hierarchical structure in tagging conventions set by industry standardization efforts like Project Haystack. Another good reason to consider attending Haystack Connect 2015 next May. 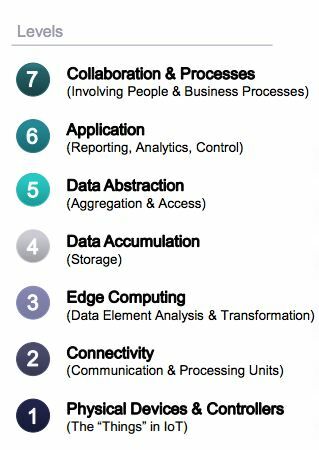 Niagara Analytics Framework and Intellastar among others fulfill the Edge Software role described by the IoT Reference model. There is yet one more type of analytics software, this with Wide Data Scope, taking in multiple data sets from sources beyond controller data, such as energy data, occupancy data, weather sources, etc. The scope might also widen to include security system or lighting data or personal identifiers such as the data from location services built into mobile devices such as the Apple iBeacon system. (Real estate leaders reveal great enthusiasm for mobile connectivity investment in general and location-aware technology in particular in recent interviews. )The wider the data scope, the more sophisticated a device can be in terms of controlling processes, executing rules and processing data.The processing location can be local as long as the device executing the rule can receive the data from contributing sources in a protocol it understands. To date, many wide-data-scope analytics have featured processing in the cloud because the real-time aspect was not a driving concern. John Petze’s article does emphasize that Building Operational Analytics is a fast-moving field, and he does include a section on the ability of analytics to ‘command’ a control system. 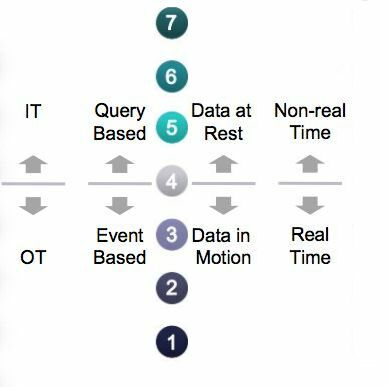 This sections points to automated demand response as one application for analytics programs that can drive real-time events across multiple edge devices. 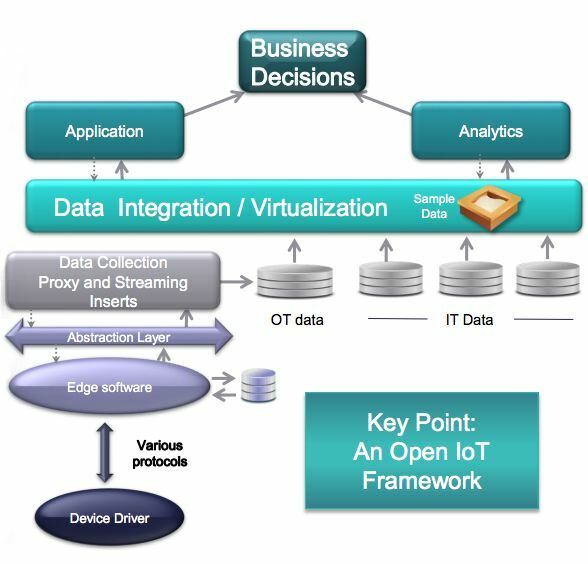 As both the 2013 Petze article and the new 2014 IoT reference model emphasize, analytics tools have to be presented with data in open, accessible formats by the originating sources. Data collection today is typically via Bacnet or oBix, Haystack, Modbus, etc., xml (perhaps Green Button data), CSV file imports, and queries to SQL databases. In the coming era of IoT, analytics will also collect data via M2M protocols like MQTT (a messaging protocol) or DDS (peer-to-peer Data Distribution Service) that were designed for small-device communications, like sensor events.